Business Facilities magazine said today it has selected Alabama as its 2015 “State of the Year” after landing a string of coveted economic development projects from Polaris Industries, Google and other companies. This is the first time Alabama has claimed the site-selection publication’s highest award. 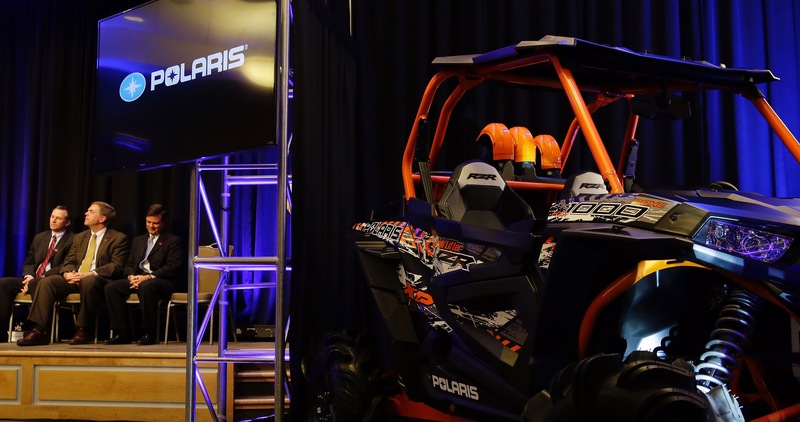 Business Facilities singled out Alabama’s successful recruitment of Polaris’ $127 million ATV factory, which will create as many as 2,000 jobs at a new production hub in Huntsville, and Google’s $600 million data center, to be built in Jackson County. In its evaluation of the states, Business Facilities looked at the top 5 economic development projects in terms of job creation and capital investment between Oct. 1, 2014 and Nov. 1, 2015, while considering other factors. Alabama’s award was announced on the publication’s website today and will be featured in a cover story in the magazine’s January/February issue. “The Crimson Tide has brought in a bevy of big-ticket projects that have provided a solid foundation for future growth,” Business Facilities Editor in Chief Jack Rogers said in the magazine’s announcement. “With Mercedes-Benz and Airbus anchoring top-tier positions in automotive and aerospace manufacturing, an expanding high-tech hub and forward-thinking leadership in 21st-century workforce training, Alabama has put together a winning combination that’s tough to beat,” Rogers said. Governor Robert Bentley said the Business Facilities honor caps a strong year for Alabama’s economic development efforts. Business Facilities also pointed to Alabama’s strong record of attracting foreign direct investment from companies such as France-based Airbus and growing export activity, which has seen overseas shipments of Alabama-made goods more than double in the past decade. “Whether it’s foreign direct investment or an appetite for U.S.-made goods, a growing number of global players are singing the same tune: Sweet Home Alabama,” Rogers said. Mercedes’ plans to invest $1.3 billion to expand its Tuscaloosa County assembly plant and prepare it for the production of next-generation SUVS. The project will add 300 jobs, many of them highly paid engineering positions. Auto supplier Kamtek’s $530 million project to expand its Birmingham facility and add a new aluminum casting line, creating 350 jobs. Yorozu’s plans to open a plant in Jasper to produce auto suspension parts, generating 300 new jobs. Canfield added that the new “Made in Alabama” incentives platform and a streamlined approach to workforce development, now centered in Commerce, will enhance the state’s competitiveness in 2016 and beyond. “It’s hard to believe that there remains a shortage of skilled workers in the United States, but Alabama has stepped forward to address this need with bold initiatives that can serve as a model for the rest of the nation,” said Rogers, the Business Facilities editor.